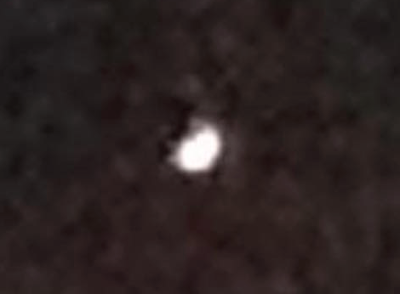 UFO SIGHTINGS DAILY: Facebook UFO Report: UFO Over Morganville, New Jersey On June 17, 2015, UFO Sighting News. 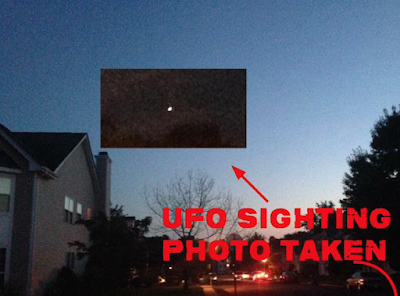 Facebook UFO Report: UFO Over Morganville, New Jersey On June 17, 2015, UFO Sighting News. Hey Scott I wanna tell you what I saw In the skies above New Jersey!!! And I saw a REAL UFO!!! 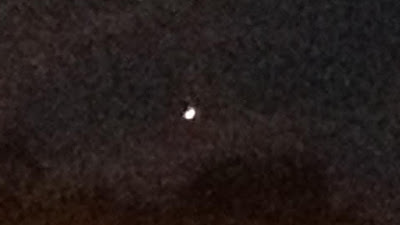 And I took a photo of it. And I'm just reporting it to you! And the sighting took place on June 17th At 8:59 PM in the evening and it's a strange circular bell shaped object that I thought was a plane but it turned out to be something else, because It was moving forward and all the sudden when I took this photo, it suddenly noticed me and then it started moving backwards and teleported away and that's strange to see an object move like that!!! And it's an inconclusive evidence that I have.